San Francisco: A couple of years ago when Volvo introduced the XC90 I asked a Volvo executive what was the point? Volvo has always been known as a "winter" car. With the XC90, was Volvo introducing a winter, winter car? The answer of course was marketing. SUVs were hot and getting hotter. All Volvo had were sedans and station wagons, so the easiest thing to do was change a car into an SUV. This year Volvo has added a V8 to the XC90, putting it on more than equal footing with the competition. Other than the V8, little has changed on the XC90. There are new "flat blade" windshield wipers, something called "hydrophilic surface treatment" to help water wick away from the side windows and mirrors. And a tire pressure warning system should be available by the time you read this. The XC90 is a good-looking truck (I'll call it a truck because Volvo lists it that way for fuel economy reasons), and you will never mistake it for anything other than a Volvo. Front and center is the familiar Volvo grille with the diagonal slash and the Volvo emblem. The only real give away that the XC90 might be intended for some off road excursions is the almost 9 inches of ground clearance. I doubt that anyone will ever traverse the Rubicon in a XC90, but they might plow through six inches of snow to go skiing. Being a little taller than a Volvo wagon, the XC90 will be a little harder to climb into, but nowhere near as difficult as the gargantuan SUVs you see so many women driving these days. The only complaint I had was that I had to lift up a five-gallon pail of paint into the cargo area. Life is tough. Speaking of the cargo area, there is a total of 81.5 cubic feet of cargo space if the rear and middle rows of seats are folded down. The XC90 V8 is a standard seven seater, the other XC90s may be equipped with either with five or seven seats. 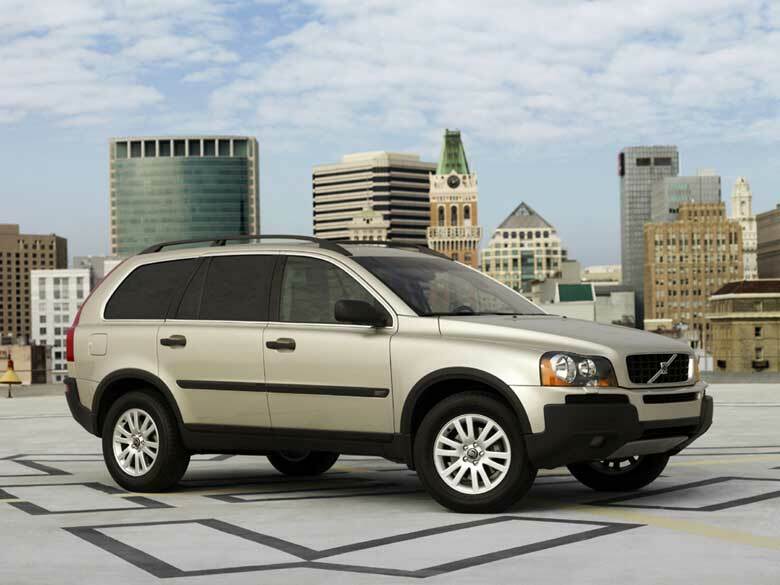 There are three engines available in the XC90 - a 2.5-liter 5-cylinder, a 2.9-liter 6 cylinder, and the 4.4-liter V8. The V8 is a unique design. Instead of the normal 90-degree V, this engine is a 60-degree design, which makes for easier installation in what started life as a transverse engine, front wheel drive vehicle. Everything is connected to the road with 235/65R17 tires as standard equipment and 235/60R18 tires on alloy wheels are optional. The all aluminum engine, designed and produced by Yamaha, puts out 311 horsepower at 5,850 rpm and 325 lb ft of torque at 3,900 rpm. It is teamed up with a 6-speed automatic transmission and drives all four wheels. Amazingly I got better than the rated highway gas mileage. US EPA rates the XC90 V8 at 14-mpg city and 20-mpg highway; on a recent highway trip, with the cruise set at 75 mph, I got just about 23-mpg according to the onboard computer. So how did the XC90 V8 drive? Very nicely thank you. It�s comfortable, posh, handles decently, it�s versatile (isn�t that what an SUV is supposed to be? ), the engine sounds great, and it gets great fuel economy. Personally I would prefer a little less ground clearance, or maybe the V8 engine in a sportier package, maybe a V70 R. Wow, now would that be a hot car. 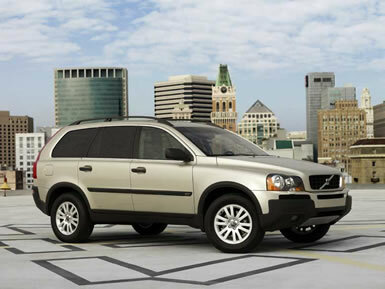 To see the new 2005 Volvo XC90 V8 click on www.volvocars.us or call your local Volvo dealer for more information.